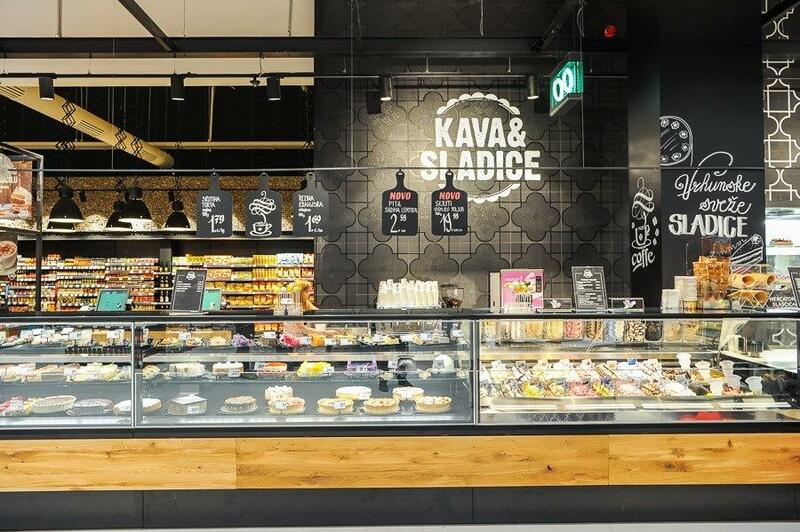 Mercator opened the renovated and refurbished Mercator Šiška store in Ljubljana, one of the most modern stores in the region. During the renovation Mercator followed the world’s latest trends in modern retail that raise the shopping experience to a higher level and make it worth remembering. The refurbishment is intended to provide Mercator’s customers with more fun and unique and interactive shopping. 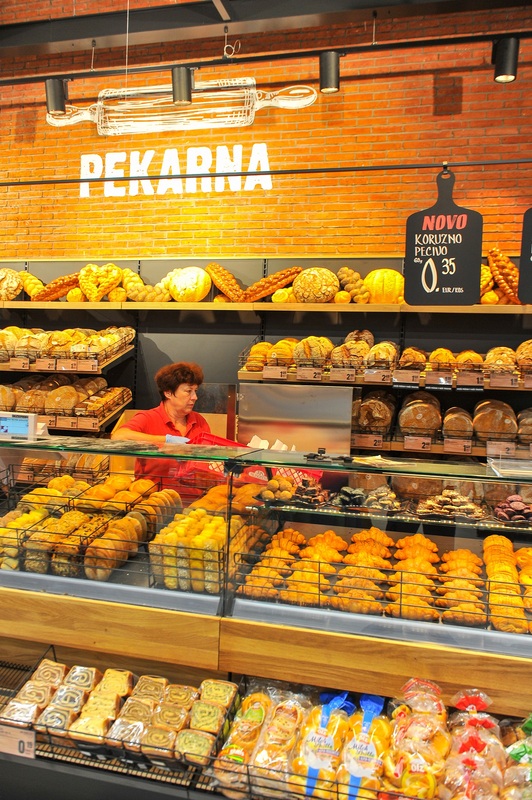 Each department offers unforgettable experience: customers can browse and watch food being prepared, from the bakery and the fresh meat department to the trendy pastry department or sushi bar. Mercator Šiška is a special store in true sense of the word. After several months of preparation, the renovation was done by hundreds of workers and ten top class engineers and designers who managed to finish the renovation in record time since the store was closed for just over a month. 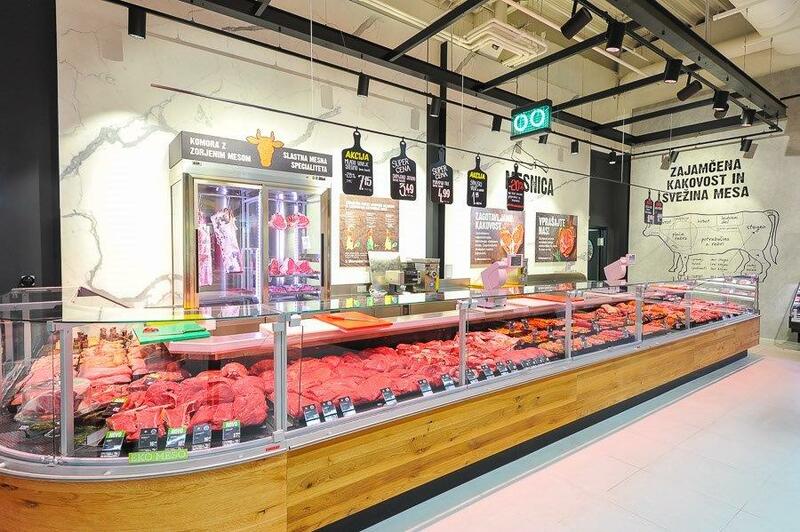 The new sales area offers numerous novelties: the kids’ department now spreads across 800 sqm of surface, the store has a 20 m wide entrance, 170 m of wall refrigerators and 280 m in length of technical and cooling equipment. The sushi bar has a diameter of 5m, while 8 self-service cash registers and 22 cash registers with a longer conveyor belt are available to customers. There is a 5m water wall at the water assortment department and LED lights illuminate the entire sales area. 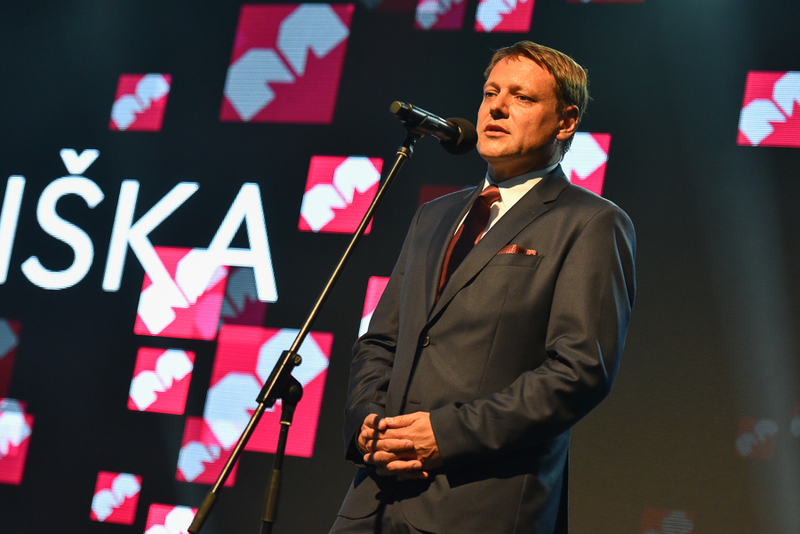 The number of employees in Mercator Šiška increased from 166 to 203. 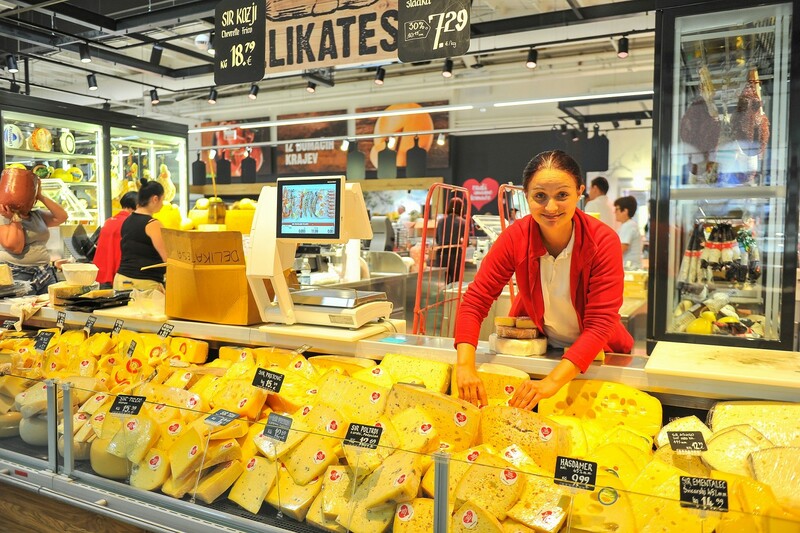 The Šiška hypermarket offers more than 35.000 products in its assortment and 5.000 of those are included in the store offer for the first time. 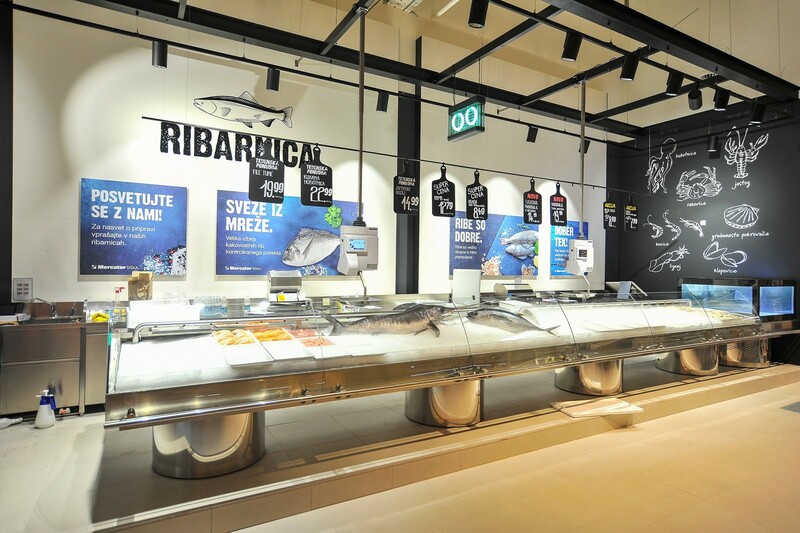 The renovated Mercator center Šiška offers modern ambience and service – a special sushi counter, a wider selection of service departments, make-up service, a bigger department for children (with Fantasy factory, London bus with slide, Lego house, drawing boards, etc. ), a wider wine and beer selection and much more. The wine department is designed as a wine cellar in stone and the beer department’s appearance is complemented with copper tubes to produce the look of a brewery. One of the novelties is the Sanatura herbal shop offering medical aid and food supplement products. The offer of service counters is bigger and they now offer food that was not offered before, for instance, roast suckling pig is being prepared in a specially designed French stove. The fresh meat department also offers a look behind the scenes: meat is cut and prepared behind a glass wall. Another novelty are the cooling cabinets and refrigerators for meat maturing to perfect taste. 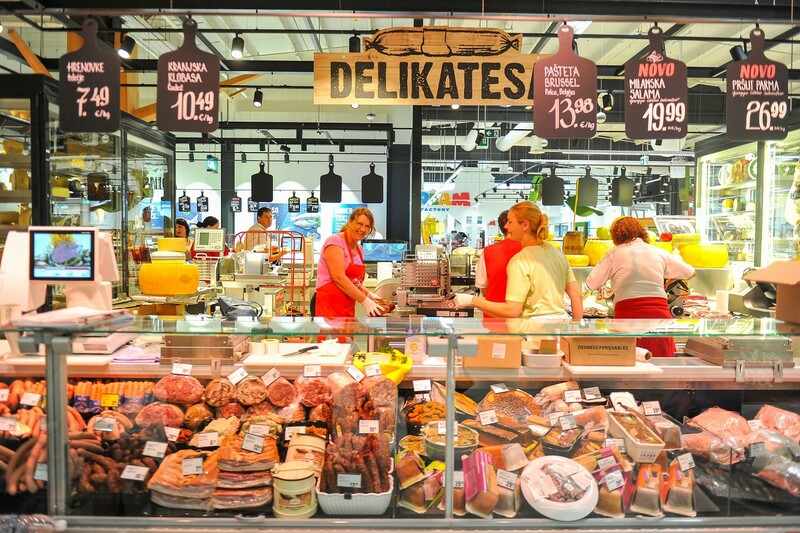 The delicatessen department displays dry meat delicacies and noble cheeses that are ripening, and the bakery gives customers insight into the preparation of bread and buns. 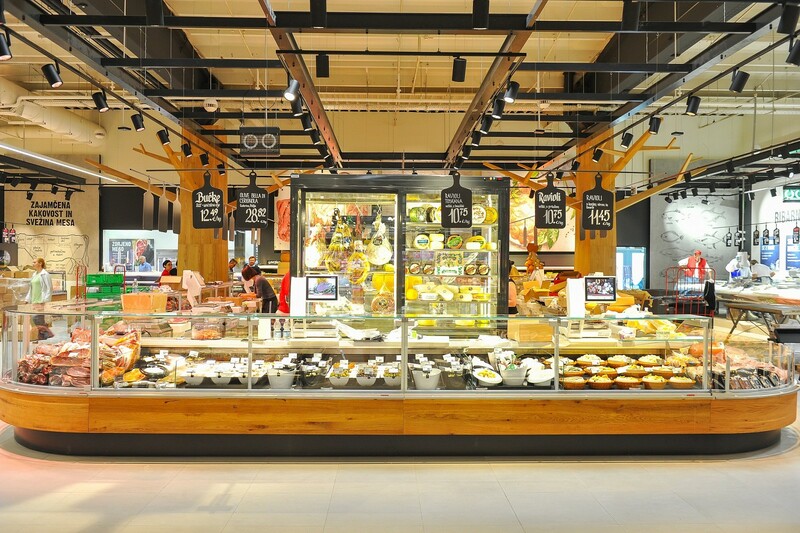 The pastries department will prepare and decorate cakes according to customers’ desires, while the fish department is bigger and modernized, offering a wide selection of fresh and frozen fish. Customers will also have the opportunity to enjoy the international cuisine department featuring culinary presentations and tastings of food from various parts of the world. Mercator stays committed to offering products of domestic producers in this newly refurbished sales area as well, and thus indigenous food from rural areas will be presented in a special department that will also offer wine and oil vending machines. At the store entrance there is a small green market offering fresh fruit and vegetables. The entrance also features an info counter with a kiosk offering tobacco products and daily newspapers where one can take a rest and skim a magazine while charging the phone. 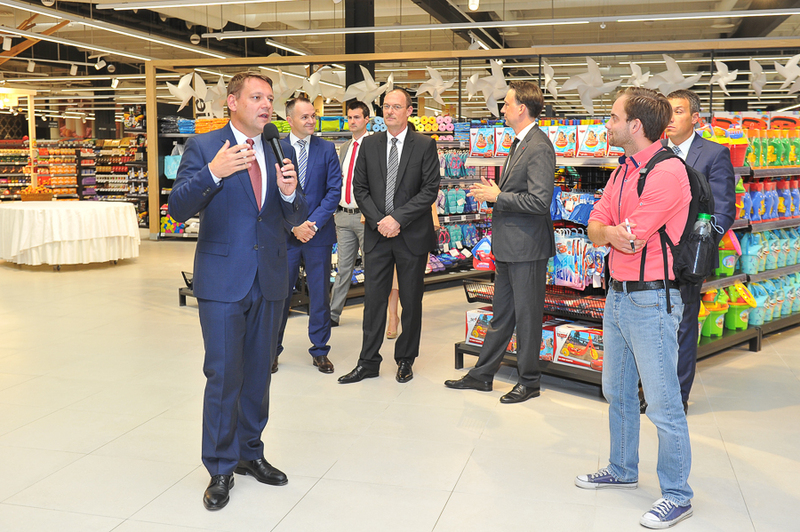 The renovated store is also technologically more advanced and the first in Slovenia to offer fast, efficient and fun shopping. Customers can use 3 M scan registers after they scan the products they plan to purchase with special M scanners. The new M Scan mobile app allows customers to shop the same way using their smartphone. 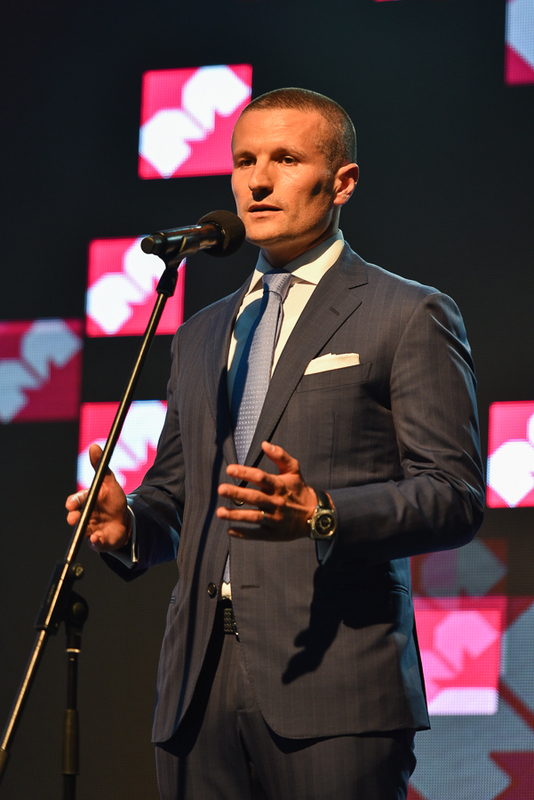 “Mercator has always been introducing new trends in retail through history, not just in Slovenia, but in the entire region. It was the first retailer to introduce its private label, loyalty card, self-serve registers, an online shop and much more. This innovative feat is extended with good supplementation of offer: we provide the customers with an upgraded shopping experience that we have already presented to guests yesterday and today to all our customers. 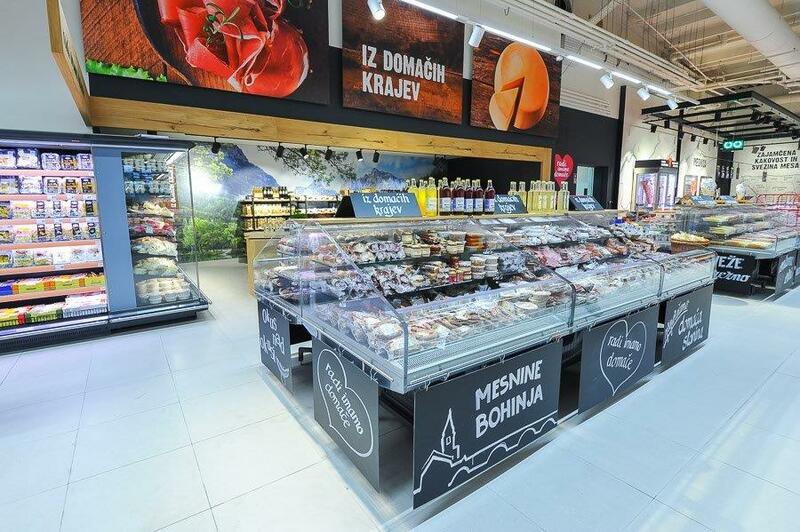 We believe that this new concept of shopping experience contributes additional value and is useful not only to customers, but to our business partners and suppliers as well.”, said Toni Balažič, President of the Mercator Management Board. "With the renovation of this store Mercator strengthens its position on the domestic and regional markets with the introduction of new trends. 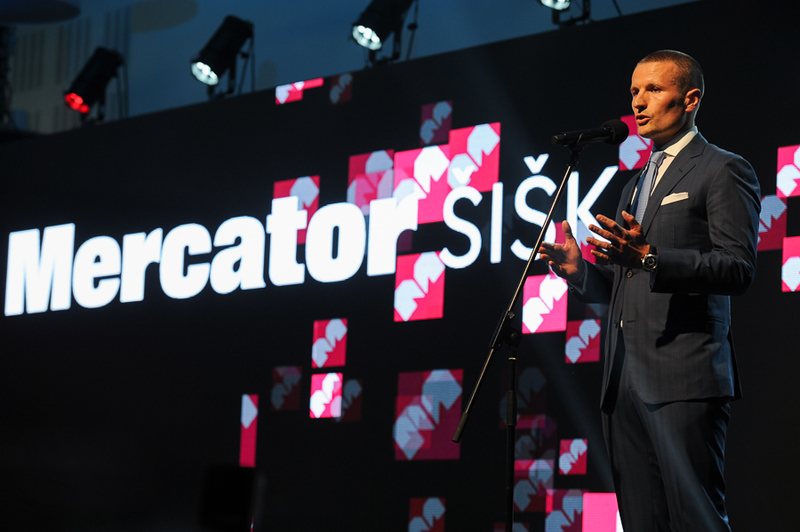 We wish for the renewed and rearranged Mercator Šiška store to set an example and become leader in the advanced shopping concept.” Ante Todorić, President of the Supervisory Board of Mercator and Deputy President of Agrokor Group explained. A unique shopping experience is becoming an important factor in retailer success. Today, consumers can purchase most products in various places, including online, but the classic store represents the space and the place where these products gain a new dimension. Today’s consumer is seeking for ways to make life easier, reduce stress; they seek entertainment and the feeling that the seller is dedicated to them in the moment of purchase. 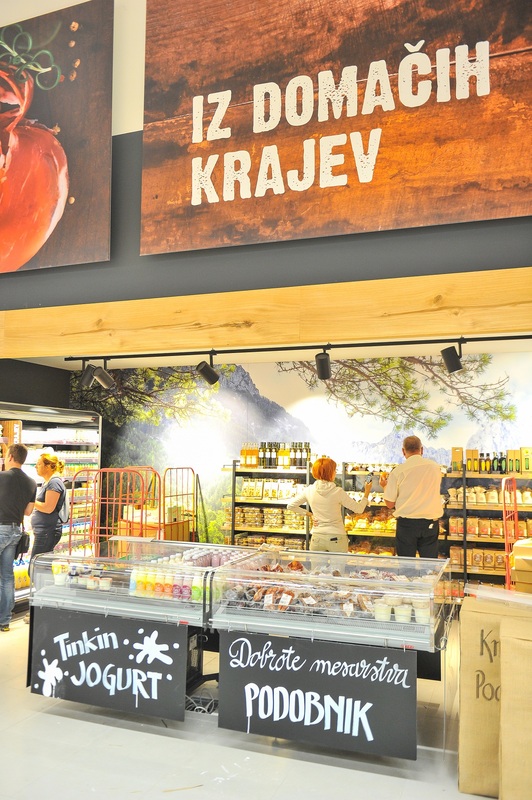 Slovenia’s biggest retailer aspires to be on this trend at the renovated Mercator Šiška store. With the renovation of Mercator Šiška, Mercator introduces fun and pleasant experiences in its marketing mix. The modern consumer has become reasoned in his actions during the recession and wants something more than the transaction itself. It is not just about purchasing the product anymore; it is an upgrade of the shopping ritual with services related to entertainment, cooking, beauty and health. In the moment of purchase, the customer wants to be involved, to interact; they want to experience what cannot be felt during a classical purchase. Mercator store is not just a neutral space with shelves displaying products; it is a destination for a special experience encompassing all senses.